Volvo's first Drive Me vehicle was delivered to a family living outside of Gothenburg on Dec. 1. The cars are equipped with cameras and other monitoring devices to observe how the families interact with the vehicle when the systems are in use. GOTHENBURG, Sweden -- Volvo’s Drive Me autonomous driving project is taking some detours compared with promises the automaker made when it announced the program four years ago, but Volvo says the changes will make its first Level 4 vehicle even better when it arrives in 2021. In early announcements about Drive Me, Volvo promised to have 100 self-driving cars on the road but that has been downgraded. Volvo now says it will have 100 people involved in the Drive Me program within the next four years. Initially, the people taking part in Drive Me will test the cars with the same Level 2 semi-autonomous assistance systems that are commercially available to anyone who purchases the SUV in markets such as Europe and the U.S.
One of those issues is the automaker’s reluctance to pick a so-called “sensor set” too early. Volvo also wants to make sure its customers are completely confident with the new technology because if they don’t trust it they won’t use it. Failure here would result in the launch of “a high-cost product with limited customer value," Rothoff said. “It’s about keeping stable controls so the car behaves like it knows what it is doing,” he added. It’s also about finding a way to provide something that customers around the world will be willing to pay a premium to own. Volvo already has an idea what future customers will value most: time, especially during their daily drive to and from the office. “I think offering time during the commute will be one of those values that people will want for a premium car,” he said. His boss, Volvo CEO Hakan Samuelsson, has said equipping a car with Level 4 functionality could cost add "close to $10,000” to the price. There is another hurdle that Volvo has encountered that it didn’t foresee when the Drive Me project started in 2013. “The electrical architecture is a really huge challenge that has been more than we expected when we started the project,” Rothoff said. 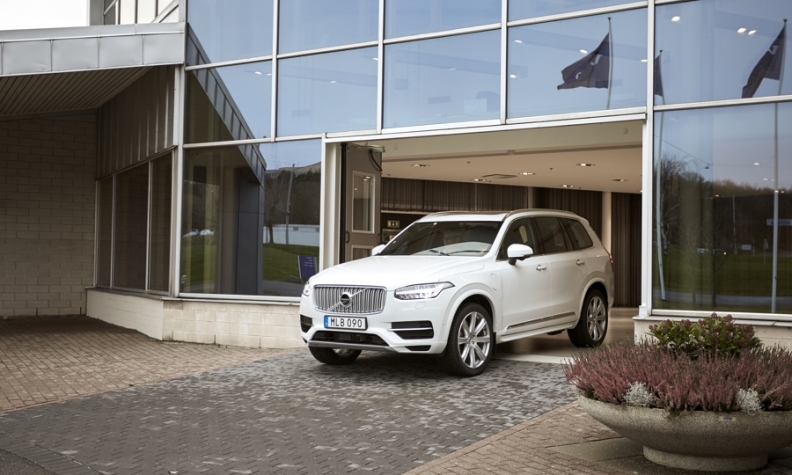 The first Gothenburg-area families to become part of the Drive Me program have received Volvo XC90s with the same semi-autonomous technology. One big difference is that the cars the families received earlier this month are equipped with cameras and other monitoring devices used to observe how they interact with the vehicle when the systems are in use. Rothoff said that the real-life data Volvo gets from these two families, as well as the three families that will be added to the program early next year, will be crucial to the fully autonomous vehicle that Volvo will debut in four years. “It’s so easy for engineers like us to assume we know what customers want. If we claim to be a human-centric brand we need to develop cars that are really focusing on the customers,” Rothoff said. Alex Hain, 45, whose family was the first chosen for the Drive Me project, is looking forward to being a part of Volvo’s journey to offering fully autonomous cars. “Our input will help them see things that are not obvious,” he said during a discussion with reporters at his home outside of Gothenburg. His wife, Paula, 45, said she had found that the XC90’s Pilot Assist, which combines adaptive cruise control and lane-keeping functionality for semi-autonomous driving, outperformed expectations on the first day she had it. During a ride to the airport on Dec. 1 with a Volvo technician in the car she was told Pilot Assist would have trouble with a curve, but the XC90 handled the challenge without any problem because the curve was not too sharp. She was immediately impressed. The Hain’s oldest daughter, Filippa, 17, will also be able to test the XC90 later this year once she has her license. She said she is looking forward to taking friends for rides in the car. She’s also expecting that by the time she is a parent having an autonomous car will allow her to spend more time with her children during a journey because the vehicle will take over the driving. The Hains and the other families involved in the project will gradually be given access to more advanced assisted-driving features. They will initially try the new technology in controlled environments such as a test track under supervision from Volvo safety experts.